Facebook announced on their Q3'17 earnings call that "more than 20 million businesses are communicating with customers through Messenger." 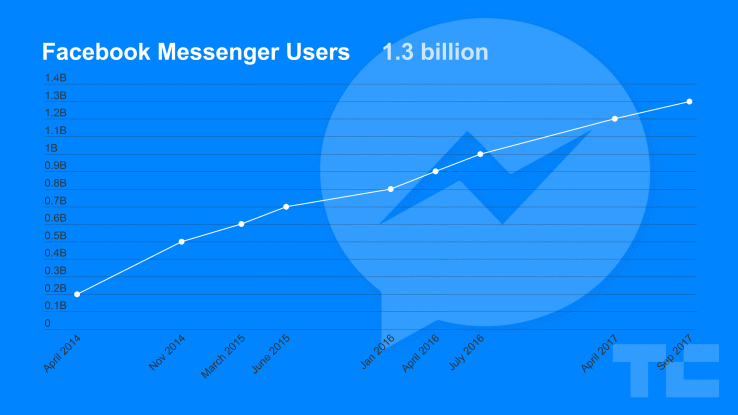 And TechCrunch reported back in September that Messenger surpassed 1.3 billion users. As Facebook looks to deal with max ad load, they finally started to ratchet up monetization efforts on Messenger by introducing different ad types. In our Ultimate Guide to Facebook Messenger Ads, we showed how to create the two most popular types 1) Send People to Messenger (Direction) and 2) Send Sponsored Messages to People on Messenger (Placement) ads. In a brand new report from AdStage, we took an in-depth look into PPC benchmarks and trends that matter to you and your digital advertising strategy. 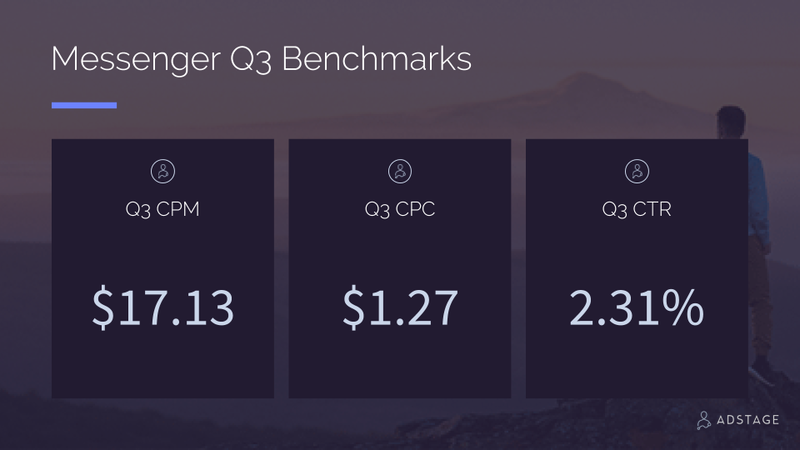 In Q3'17, we analyzed AdStage data for over 150 million Messenger ad impressions and found the average CPM was $17.13, the average CPC was $1.27, and the average CTR was 2.31%. We found the majority of advertisers are earning CPCs less than $1.00 with a lot under $0.29. These results make the ad placement enticing for marketers looking to experiment with Messenger Ads. With Facebook pouring more resources into monetizing the Messenger platform, we predict marketers will be enticed with more ad types and variations in 2018. Our mission at AdStage is to connect paid marketers quickly and easily to the data they need to understand holistic campaign performance and take action at scale. Learn more about our Facebook Ads reporting solution, and get our latest Q3'17 benchmark report. The exclusive AdStage Q3 2017 PPC Benchmark Report gives unprecedented PPC insights and trends into what’s happening on the major ad platforms. Just click on the button below to access the full 78-page report.